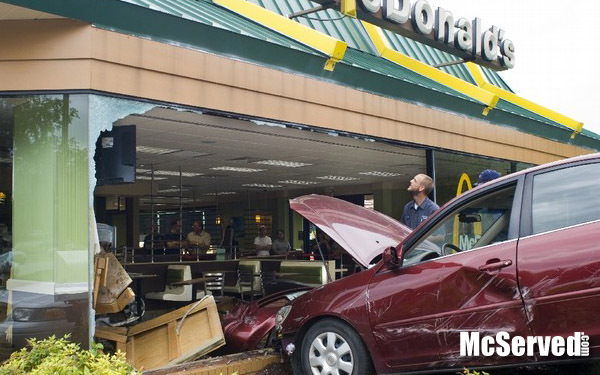 Crash | McServed: Getting Served McDonalds Fast Food Funnies, Laughs and More! Outside, Pictures tags: crash, reverse. 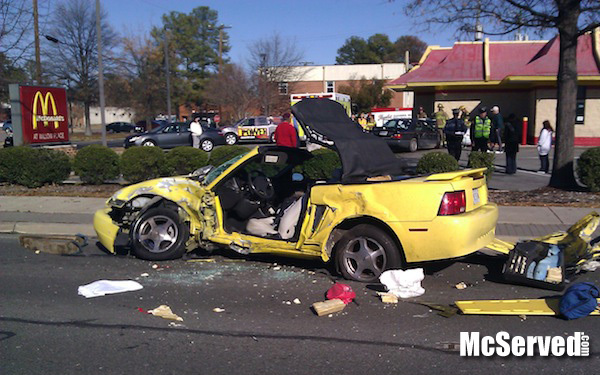 Outside, Pictures tags: car accident, crash. 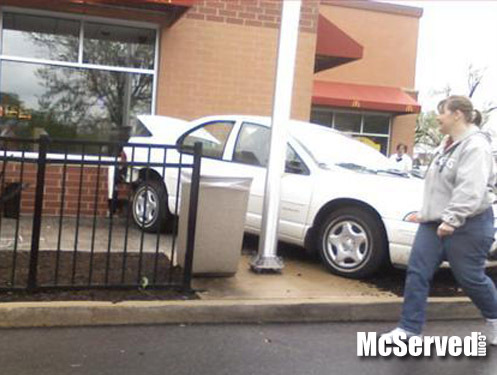 Nice going man, no don’t worry about the parking job at all – I’m sure your straight. Outside, Pictures tags: accident, crash, parking. Oh just a little mark up is all besides the window was probably dirty. Outside, Pictures tags: car, crash. 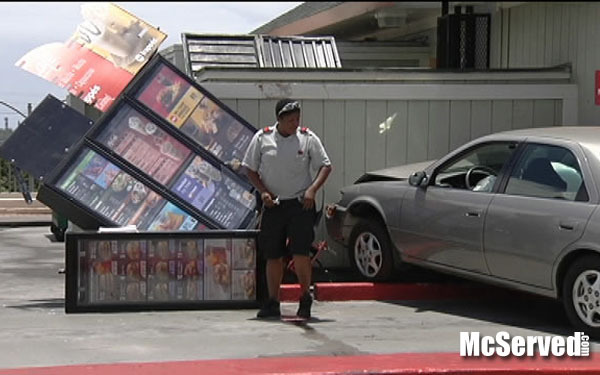 The driver drove into the Mustang then careened into the McDonald’s parking lot, smashing into the line of cars in a hurry to get at the drive thru. 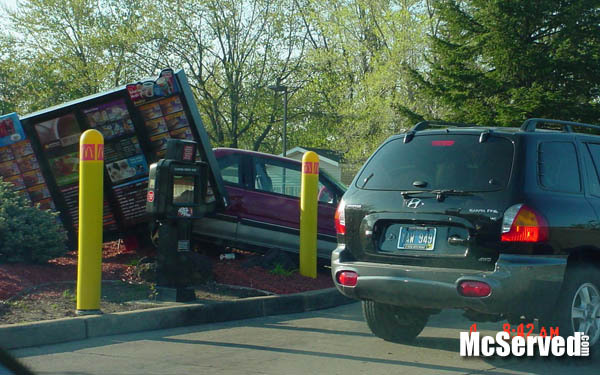 I guess the McRib is back.